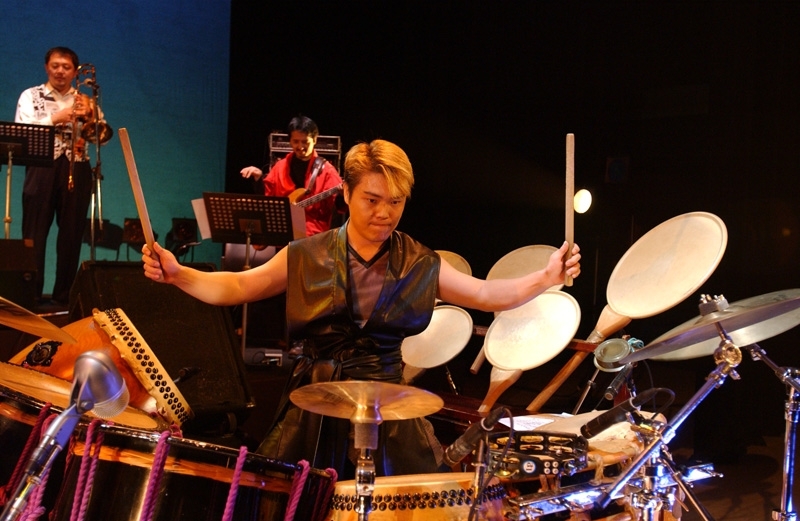 Since his debut as a solo taiko player, Hayashida has composed and produced music and introduced the concept of music in the world of taiko. His unique ability to produce taiko ensembles in the realm of music is considered very unique. When it comes to Katsugi Oke Daiko, no one can follow his technique. With his ability to play the instrument, produce music and develop new instruments, his one and only ideas and foresight can prove that he’s a pioneer of Katsugi Oke Daiko. Since his young days, Hayashida has absorbed various genre of music. He has played in bands as well as jazz bands and folk musical instruments ensembles. He performed on more than 800 stages with KODO and with a strong support of vocalists and musicians such as Takio Ito and Koji Tamaki, he has done sessions with musicians from other genres. 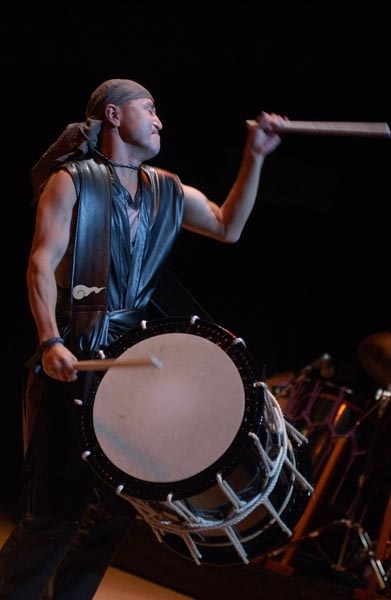 With this unique experience, he exhibits a high quality technique and strong personality as a taiko player and produces all kinds of music and music events, which have received a high appraisal. Currently, it is said that there are over 15,000 taiko groups (both amateur and professional) in Japan, but I must say that most of them just imitate famous professional taiko players and goups. And it is true that many of the players depend on their power rather than their technique. 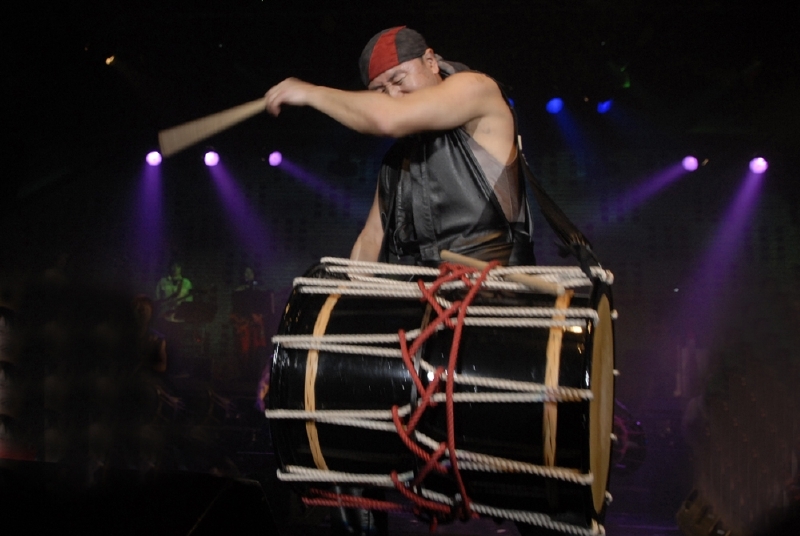 Taiko is an instrument that has an amazing power and no one can deny that this power attract many people. 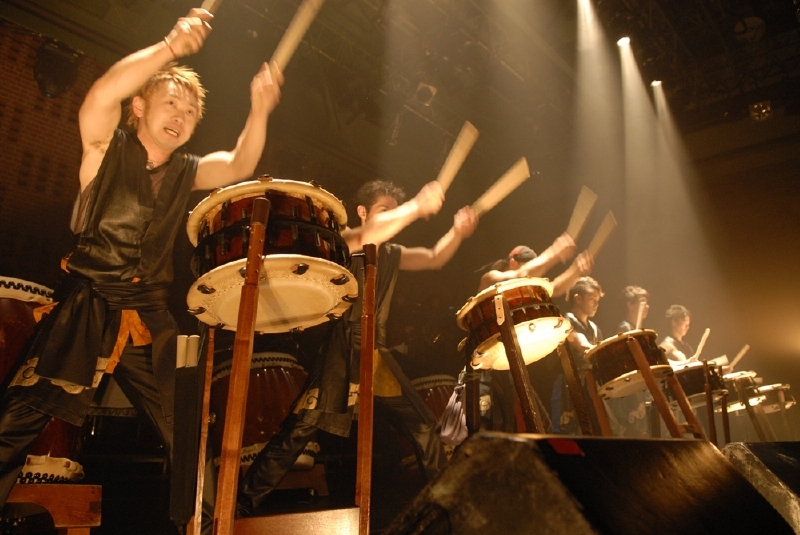 Therefore, many taiko players rely on the power of the instrument and on certain technique. I think the world of taiko has come to a turning point. 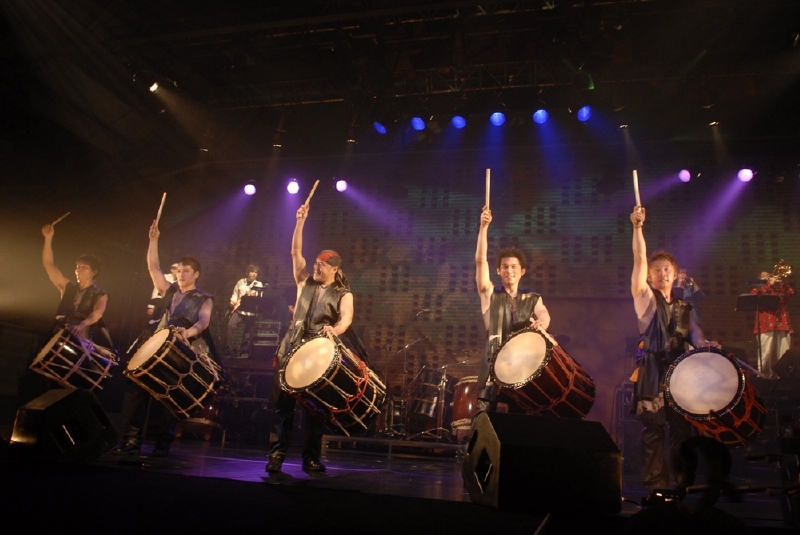 Playing the taiko is not “amazing!” any more, as it has been know to all over the world. The world is now seeking evolved and real music in taiko. 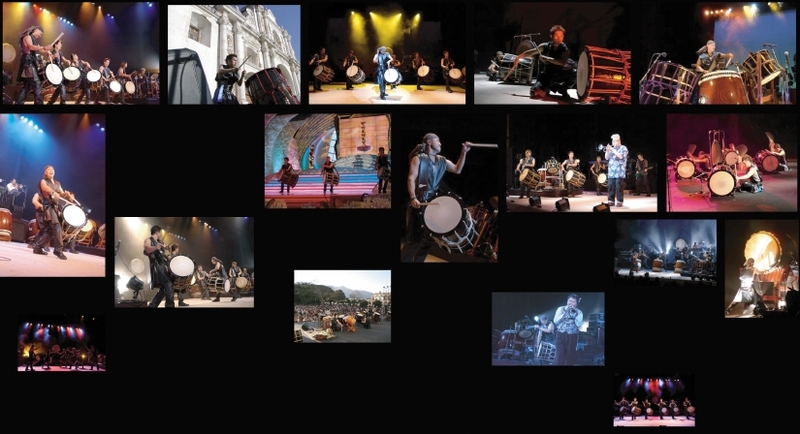 It has only been 35 years since taiko came to be recognized as a stage art. We still have a long way to go until what we are doing will be called a tradition. Right now, we all need to do some trial and error and challenge new things instead of keeping the “tradition” in order to help develop the world of taiko. 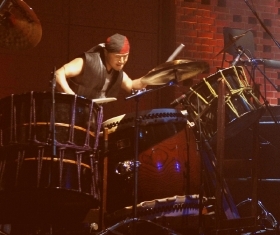 Since his debut as a soloist, Hayashida has produced about 50 original pieces of music for taiko ensemble and collaboration of taiko and other musical instruments. 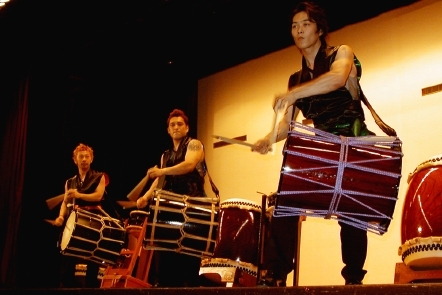 Moreover, he has offered about 20 pieces of music to professional as well as amateur taiko groups and professional entertainment organizations, and his excellent composition sense and a wide arrangement ability are highly valued. 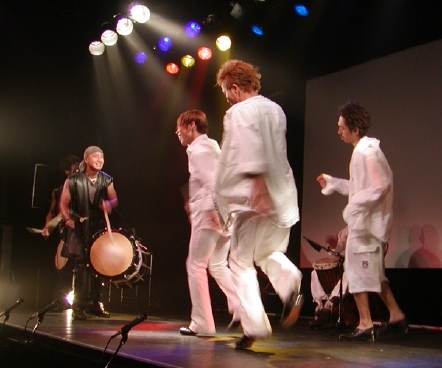 It is needless to say that the novelty of the taiko entertainment unit, ZI-PANG, that Hayashida formed in 2000 and has been doing general producing (composing music, production and leading the group) is supported by superior technique of all the members and the music and production that Hayashida fully understands its uniqueness. Hayashida’s music is reinforced by his unique ideas and incredible technique. Still and motion, soft and hard, slow and rapid… they are all collaborated in his exquisite spiritual performance. 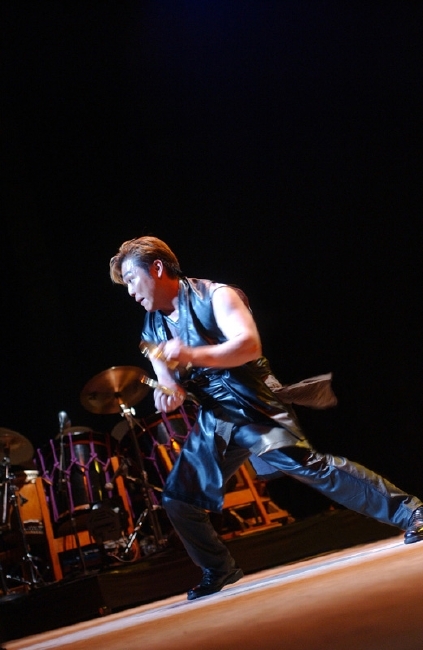 Hayashida has solo performance and various collaborations dedicating all his strength. Especially in the solo performance of his Katsugi Oke Daiko, he always seeks unprecedented new expressions using a special technique called “3 Way” and an electric oke daiko that he created by himself. His original outlook on the world, solid technique and rare and unique performance enable him to collaborate with other musicians and performers. The world of taiko music that never existed! Superb stage that the East meets the West. 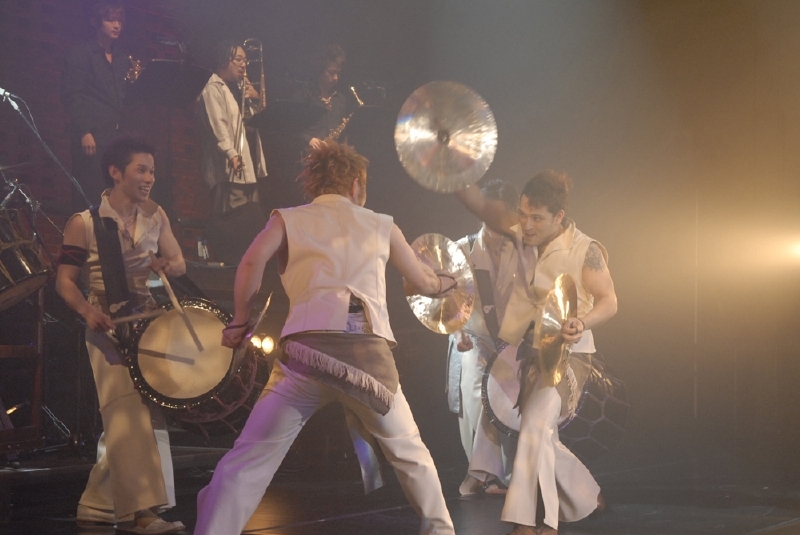 It’s an evolution of the taiko entertainment! Borderless sound that Hayashida creates has an essence of jazz, rock and pops. Taiko, keyboard, bass, horn section… ZI-PANG’s sound is expressed in all kinds of styles and are very well received in Japan as well as all over the world. 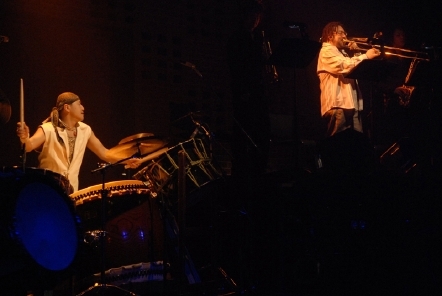 ZI-PANG’s Central and South America Tour in 2005 and 2006 brought a lot of excitement to enthusiastic Latino audience as well as local media. 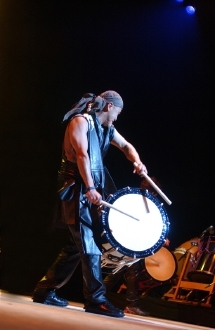 ZI-PANG’s stage has rhythmical sound, overwhelming sound and incredible technique that breaks the concept of taiko and enhance audience. They perform in Japan and overseas to provide opportunities for people all over the world to experience the world of taiko. They also do workshops and actively participate in cultural activities such as performances at schools. 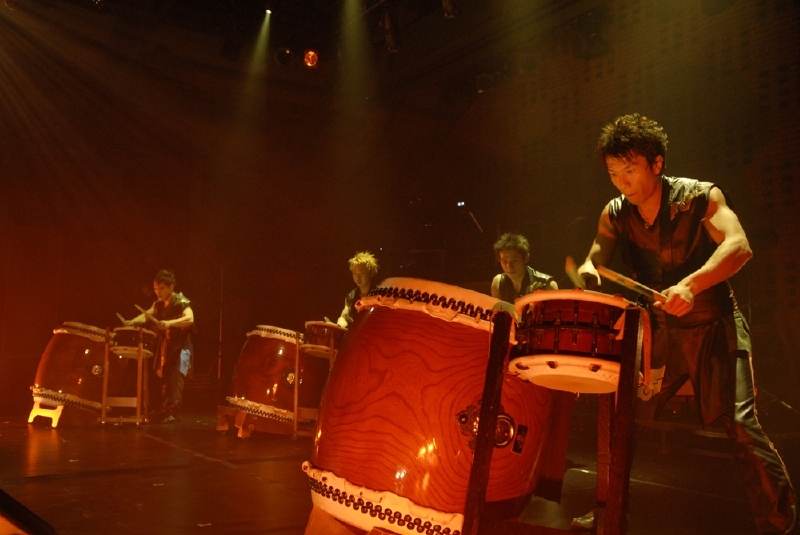 Hiro Hayashida, a leading Japanese taiko player and Hiroki Miki create wonderful rhythm ensemble. Each has numerous experiences in collaborative sessions with musicians from other genres and their skillful technique and rich expression wraps audience with their rhythmical performance. 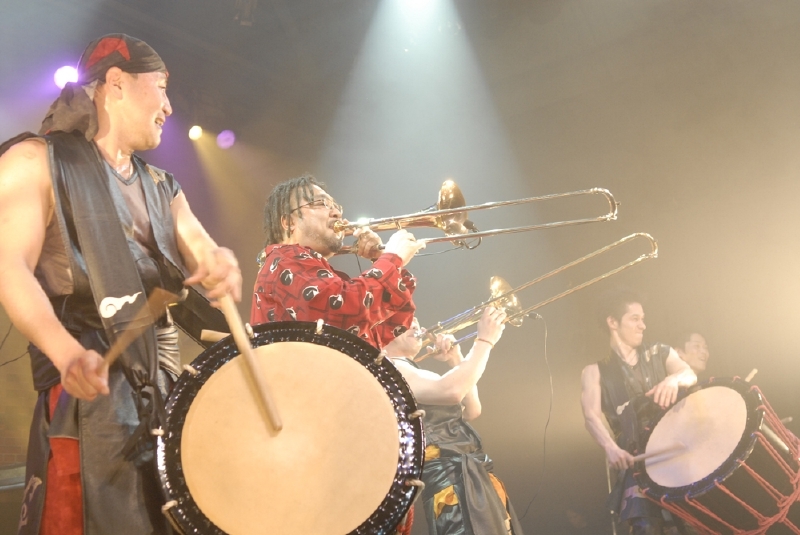 BU-SON is a new-wave taiko unit that Hayashida produces with his experience of performing more than 1,000 times in Japan as well as 30 different countries. Their stage is full of technique, speed and power value each member’s strong personality and experience. Members of this group are succeeding their predecessor, ZI-PANG, and performs elegant ensembles to enthusiastic solo pieces. Each piece of his music has a different concept. Style is different, so is the rhythm and the instrument used. 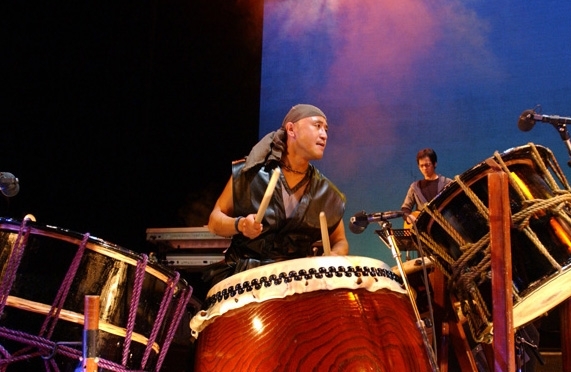 He uses taiko as well as Japanese musical instruments such as Shino-bue, Shakuhachi and shamisen and western musical instruments like brass, guitar and synthesizer.